Update! 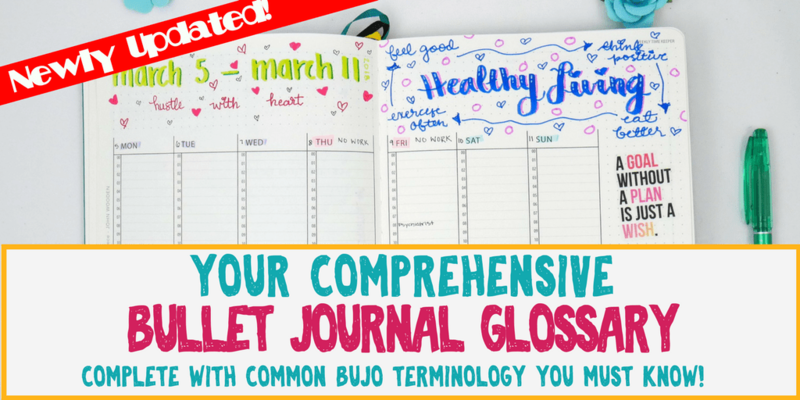 3/18/2018- It’s absolutely incredible how half a year fully engrossed in the bullet journal community has taught me so much more about some of the most common “bullet journal glossary” terms that exist! Enjoy your completely updated post with lots of new, helpful information. You’ll even find links leading to new concepts and products that I’ve written since this article released back in August 2017! Upon entering the Bullet Journal world, I quickly discovered that Bullet Journal has its own language. Some of the terms are actually pretty easy to figure out, but there are some that are absolutely confusing. However, since my goal is to help you start building your bullet journal, I figured I may as well go ahead and create a bullet journal glossary help you learn this a little faster. This information contains all the primary information that you may run across on bullet journal blogs, websites, and social media groups. If you’ve been around the community for a bit, you may find some information you already know! Yet it’s still worth browsing, who knows, maybe you’ll learn something new. The Bullet Journal, created by Ryder Carroll, is a customizable and forgiving organization system. It serves as a to-do list, sketchbook, notebook, and diary all in one convenient place. It’s seriously the best way to keep a planner because it helps you get super creative while learning better time management skills. Maybe the second part isn’t fact, but I certainly believe it to be very true! Despite how it sounds, “Bujo” is actually not a scary ghost named Jo. You don’t want to mess with Jo. You’ll be in even bigger trouble if you mess with his coffee. It’s the shortened version of BUllet JOurnal. Clever, no? It’s much easier to type, at least. Warning- some people absolutely detest this abbreviation. No, not your house key, or your car key (though, by starting a bullet journal you may forget them less!). A key is an overview of how you organize your information. Frequently featured in the front of a bullet journal. Found within the key. Signifiers help you label the data in your bullet journal into specific categories. Categories typically fall into two zones: Types of data, and what is done with data. 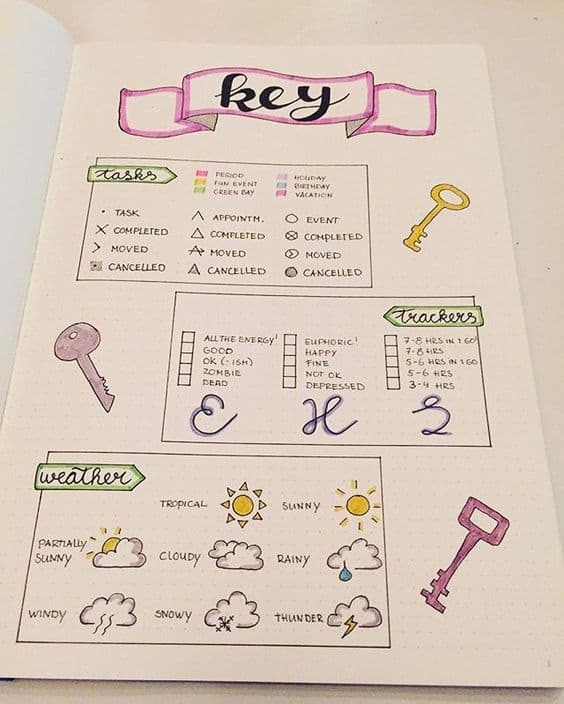 The example above shows the different types of signifiers used to organize the information in the bullet journal key! Shorter version: Every specific type of page (or pages) is considered a spread/layout. Longer version: Your spread/layout is the utilization of a page (or pages) to a specific task. However, there is no limit to what kind of task needs to be done for it to be labeled as such. Virtually every type of page you may use in your bullet journal will be a spread/layout of some kind. You will utilize multiple types, which I will go into more detailed definitions below. A monthly spread/layout is typically created at the beginning of each month. It may include some or all these elements: Cover pages, a monthly calendar, tracking, quotes, and drawings. 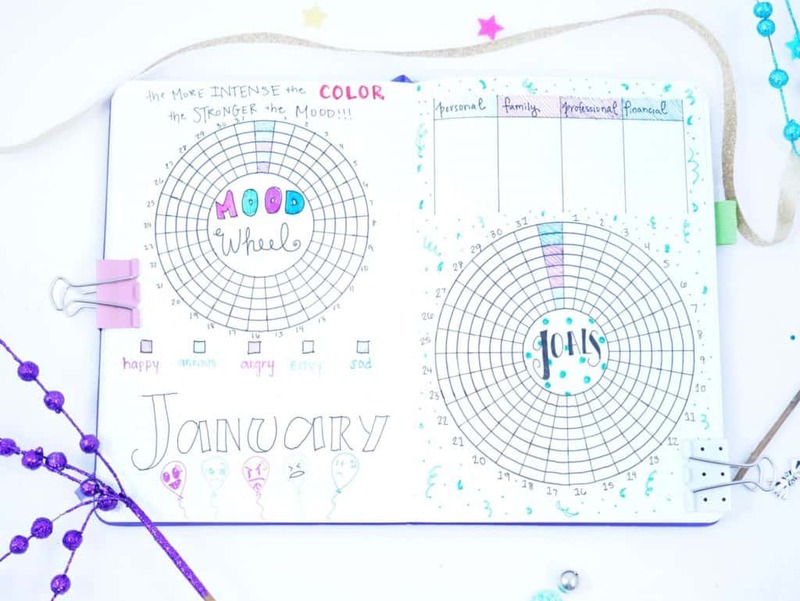 If you’d like to learn more about setting up an easy yet functional bullet journal monthly layout, check out this post on everything about bullet journal monthly layouts! A weekly spread/layout is built for each week of the month. Typically these are made following the monthly layout (but not always). A weekly spread/layout may include some or all of these elements: A weekly overview calendar, tracking, quotes, drawings, and a place to write notes. 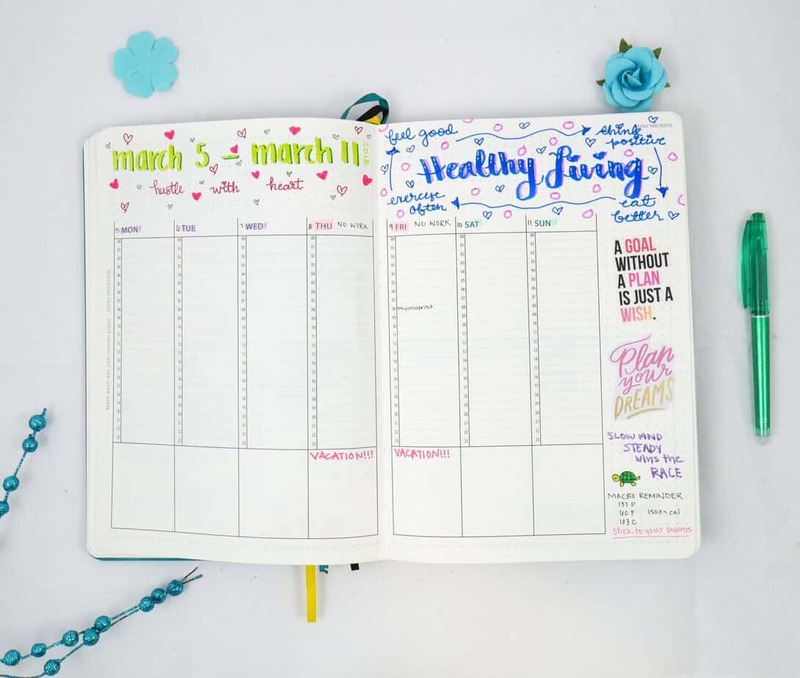 If you’d like to learn even more about setting up the perfect weekly layout in your bullet journal, you’ll find a lot of benefit in this post here! A daily spread/layout is built for longer daily posts. Sometimes incorporated into the weekly journal. A daily spread/layout is where you can list more specifics about your day. It may include some or all of these elements: A daily overview, tracking, quotes, drawings, and notes. Sometimes people will create daily pages over 2-3 pages. Other people may feature an entire page in one day. 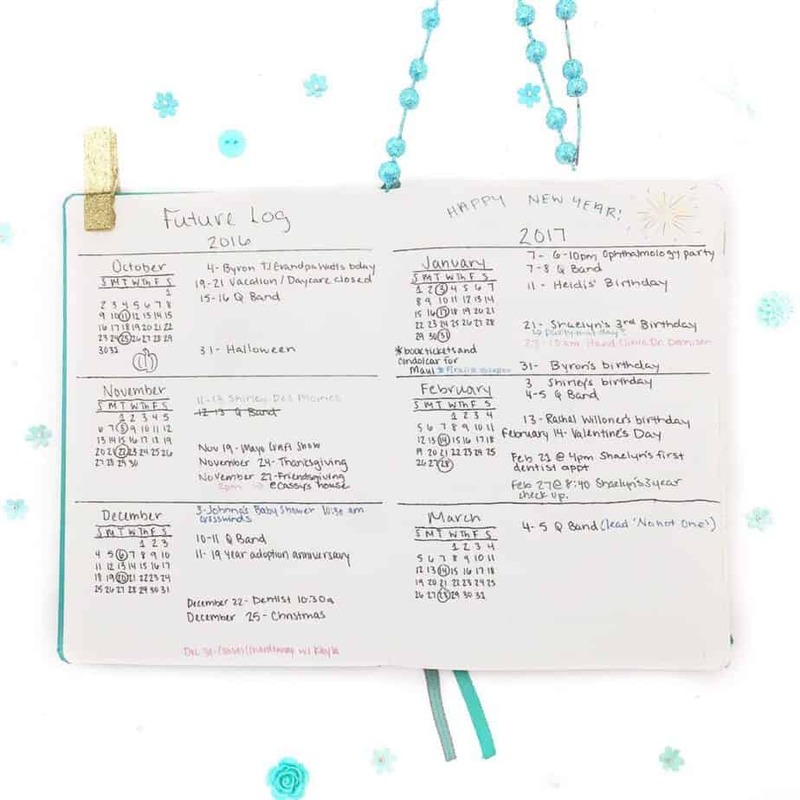 A future log is an overview of the time frame of your entire bullet journal, and possibly the next 3-6 months after the expected completion of a bullet journal. Using a future log helps people to log in important information well ahead of time. This proves to be helpful if you haven’t built your future months in your bullet journal; it gives you a place to at least write the initial details down! You can literally track anything. (Super helpful again, right?). I’m just going to write a general list here below because it’s true! You literally can track everything!. Phew! That’s quite a powerful list. And I’m sure there are tons more I haven’t even listed. How do I set up trackers? Again, any way you want. It can be as small as five dots in the corner if each day in your weekly layout to track water consumption. It can be as large as multiple pages to handle vacation information. 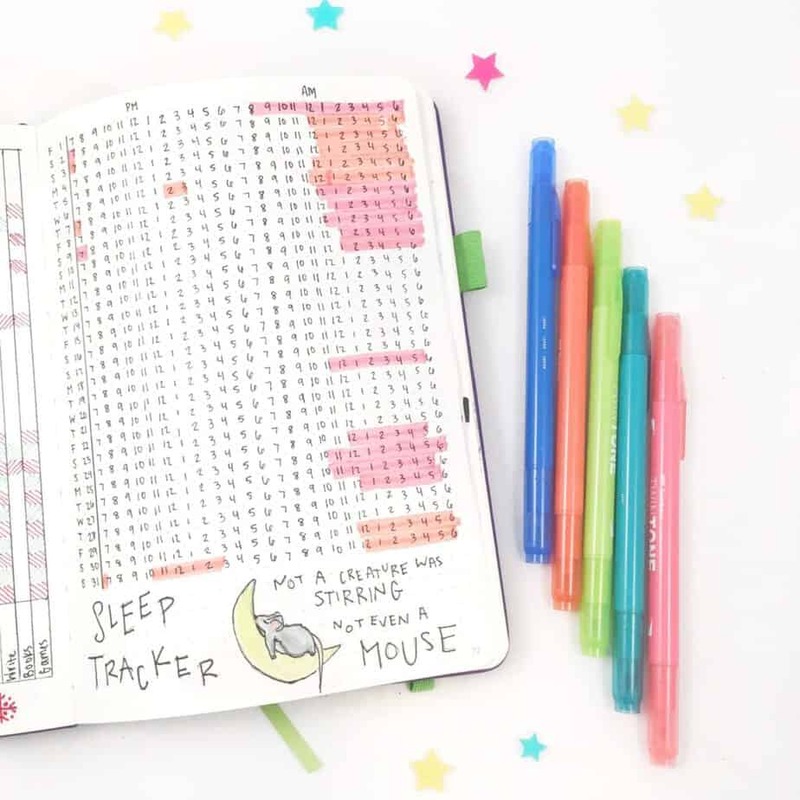 Want to know more about bullet journal trackers? Learn more about trackers and ideas to use trackers in your bullet journals. Kind of similar to a tracker, but in this case you are just writing down themed data. The information here is nice to have as a reference or reminder tool. Can be interspersed at any point in your bullet journal, but typically made separate from other pages (could be between weeks 3-4, but not actually part of either week). If you feel a bit confused about the difference in trackers and collections, this post may help explain the difference in detail! Themes in bullet journals focus on organizing how you decorate your bullet journal spreads to help simplify your content. 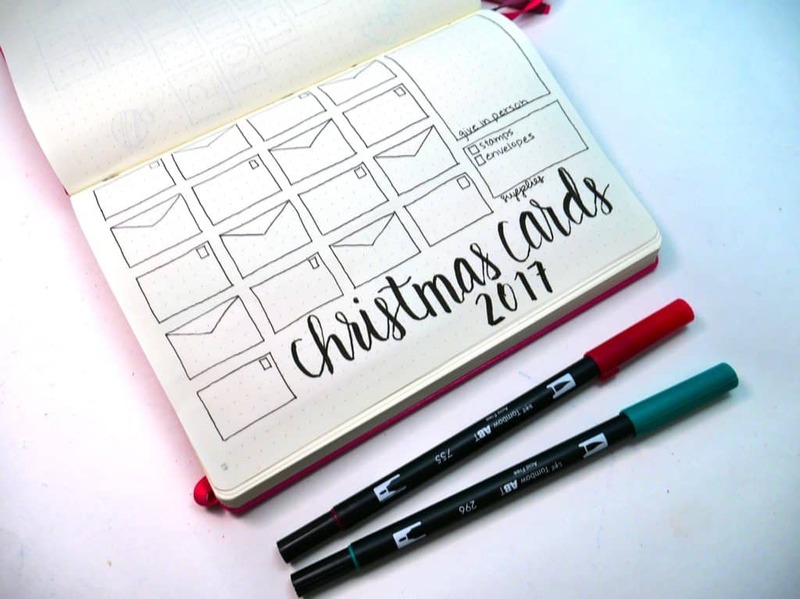 While some people may choose to have completely random designs and decorations in their bullet journals from page to page, a theme puts categories of similar doodles, page elements, and designs over the course of a week or month. 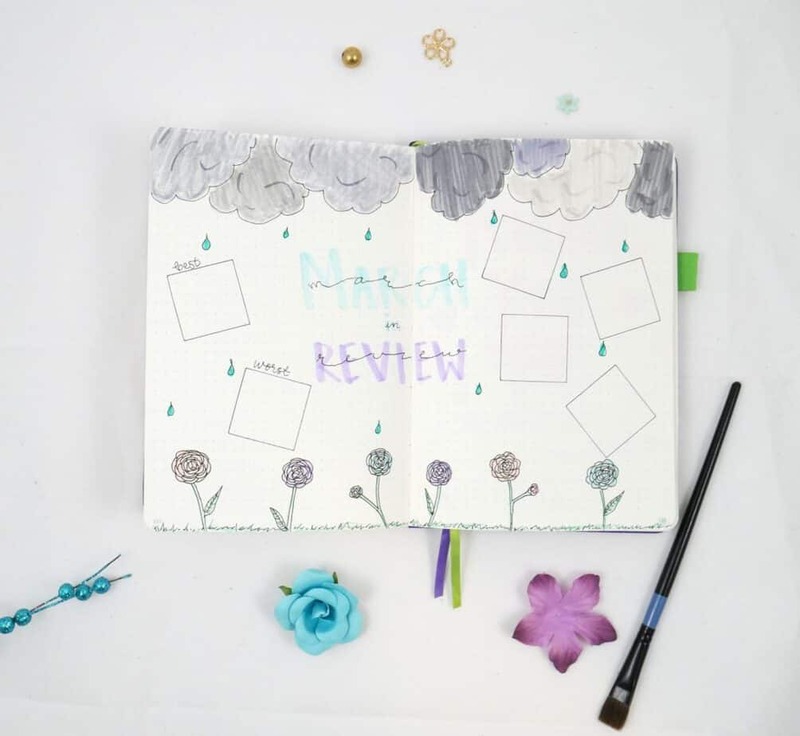 If you’d like to learn more about how to incorporate themes in your bullet journal, you can read about them here! There are definitely a ton of different products used in the bullet journal community. Honestly, so many exist that it’s hard to choose. Why can’t we buy them all?!?! Listed below are the most common products and types of products utilized by many in the bullet journal community! Many bullet journalers use dot grid notebooks. How is a dot grid different? It features little dots in rows and columns. It’s nice because it lets the user of the notebook create their own structure while also allowing for maximum creativity because there are no lines (unless you want to draw them yourself). If you look close, you can see the dots on the page! And the beautiful stickers from my Pipsticks sticker subscription. If you use a dot grid, get yourself a ruler. It’s one of the essential bullet journal tools you should have, anyway! Note: You don’t have to use a dot grid to bullet journal. I’ve seen lovely bullet journals done in squared, lined, and plain paper. The Leuchtturm1917 notebook is pretty much the most common type of dot-grid notebook in the Bullet Journal Universe. Why? Well, one reason is they are heavily endorsed by Ryder Carroll (the inventor of the “bullet journal”). However, they are actually a great notebook and offer a lot of diversity with sizes and paper types with excellent quality. Many people use them. Many people love them. Some people can’t stand them. They are absolutely fantastic notebooks though, as I’ve enjoyed using them for two of my bullet journals so far! If you’d like to read more about my experience with the Leuchtturm1917 notebook, you can read that review here! The Rhodia dot grid notebook is another well-known notebook variety in the bullet journal world. Another variety of notebooks. Moleskine in general probably has the best selection of unique covers. They are also a lot more readily available, than many of the other popular bullet journal notebook brands. You can find them at stores such as Target and Barnes and Noble. STM stands for “Scribbles That Matter”. A newer dot-grid notebook that many people love. And understandably so, because their quality and customer service are actually pretty incredible! 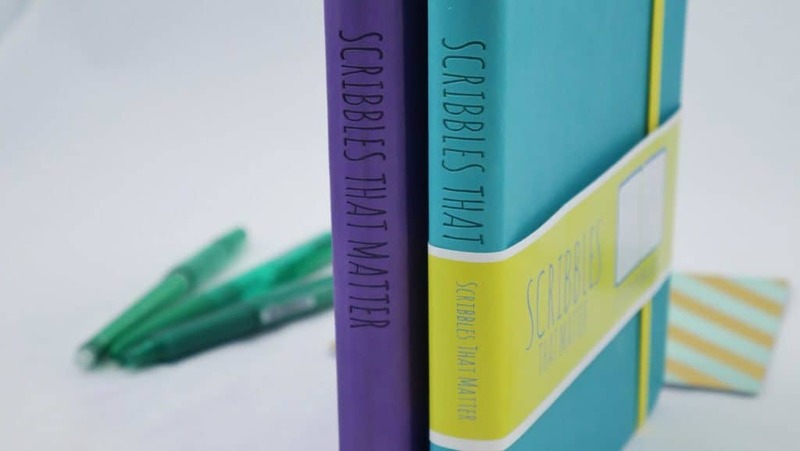 I had the opportunity to write a few posts based on the Scribbles that Matter brand, so if you’d like to learn more check out the posts below! Scribbles that Matter or Leuchtturm1917? This is a number typically attached to notebooks. It basically has to do with the thickness of the page in the notebooks. The smaller the number, the thinner the page. If it’s larger, the page is thicker. Each has their own pros and cons. This number relates to a certain size of a notebook. Many bullet journals typically are the A5 size, however, you can use smaller or larger. A5 size is approximately 5.83in x 8.27in. Size and paper thickness is very much a personal preference thing, so you may want to try out various notebooks to see what thickness and notebook size you prefer. *If you have additional questions about the GSM and A5, along with additional information that is relevant to Bullet Journals, I’d highly recommend reading this fantastic blog post “Paper Notebooks Explained” written by JetPens. Tombow brand stationery supplies are amazing. Loved by many for their amazing brush pens, Tombow also features super supplies that are a necessity if you want awesome bullet journal tools! The dual brush pens can make some awesome watercolor effects! 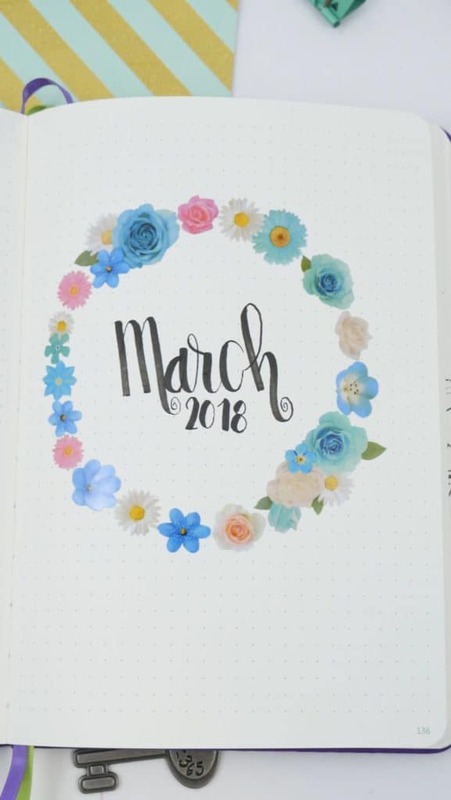 In all honesty, there are some incredible bullet journal supplies that exist in the world! If you’d like more guidance on what tools you should buy, read these three posts below for additional assistance! 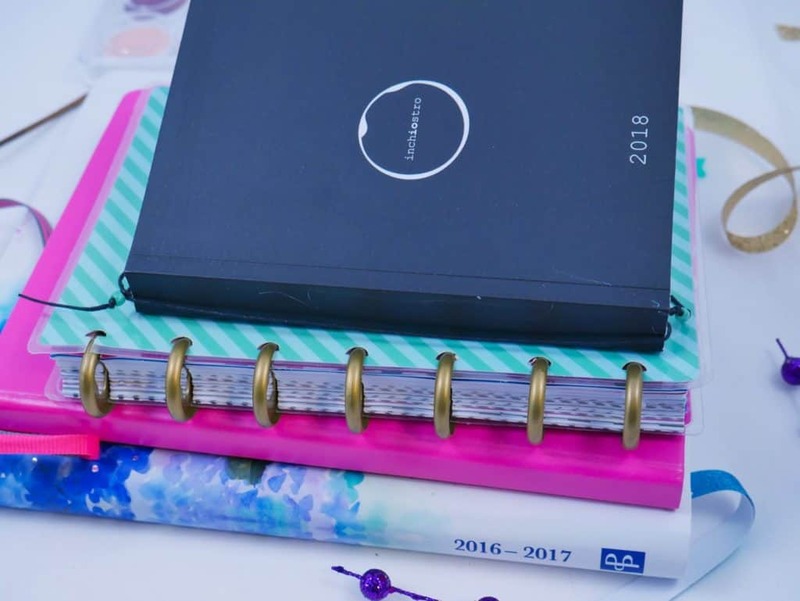 While this section isn’t particularly long, there are a few issues commonly addressed by bullet journal fans everywhere. No, nobody gets hurt. Nobody dies. Maybe an occasional paper cut… but that still has nothing to do with THIS kind of bleeding. In the bullet journal world, bleeding means that the pen/marker markings have bled through to the back page and subsequent pages following. It honestly bothers a lot of people and is a common reason for significant frustration in notebooks. No, there is nothing spiritual about the Bullet Journaling world. Ghosting is like the nicer cousin of bleeding… basically, it has to do with the pen/marker markings. If you look at the back of a page and can see the shading of the markings, you may have ghosting. Now, why the “nicer cousin” of bleeding? Because ghosting won’t cause your ink to bleed on the next page. It’s still a frustrating phenomenon, but one (with expectation) you can learn to live with. 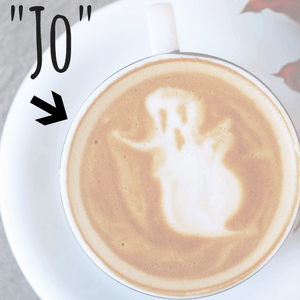 The jokes one could make about “Bujo” and ghosting… where is Jo, anyway? The bullet journal community utilizes many ‘hacks’, techniques you can utilize in your bullet journal to make it more simple to manage. Thought the bullet journal glossary could include a few commonly talked about hacks! This is a hack actually utilized and made popular by Ryder Carroll himself. To put it simply, the concept of threading works like this. You have a collection, say it’s on page 12. You are collecting information about recipes (pretty generic!). Finally, after a couple of months, you fill the collection. Ryder Carroll’s has this problem taken care of. So, you start your recipe collection on page 77. Then you go back to page 12… and you can draw a vertical line/comma/semi-colon/colon (whatever you want to separate). After whatever punctuation mark you drew, you write down “77”. Now you know when you are looking at recipes on page 12, you can also find more on 77. The “Dutch Door” is one of the most common types of hacks featured in the bullet journal world. Check out this fabulous dutch door layout by Planner Luka over at Instagram! It looks so easy, doesn’t it?!?! This is just a clever hack to provide some flexible, smaller pages within two main pages. Frequently used for daily pages within a weekly spread. See the picture above to explain the concept a little better. Christina at Christina77Star has a fantastic post all about Dutch Doors in your bullet journal. You can read all about them here, with many different styles and layouts explained in greater detail. Bullet Journal Community: Pretty much the best darn people in the world. You’ll find amazing friendships, endless generosity, ideas galore, conversation, and penpals. It includes the most beginner bullet journalers to the most advanced. You’ll see talent levels of all kinds. Awesome people like @bonjournal_ exist in the bujo world! If you feel clueless on how to get involved in the bullet journal community, start with some of my favorite accounts I like to follow! 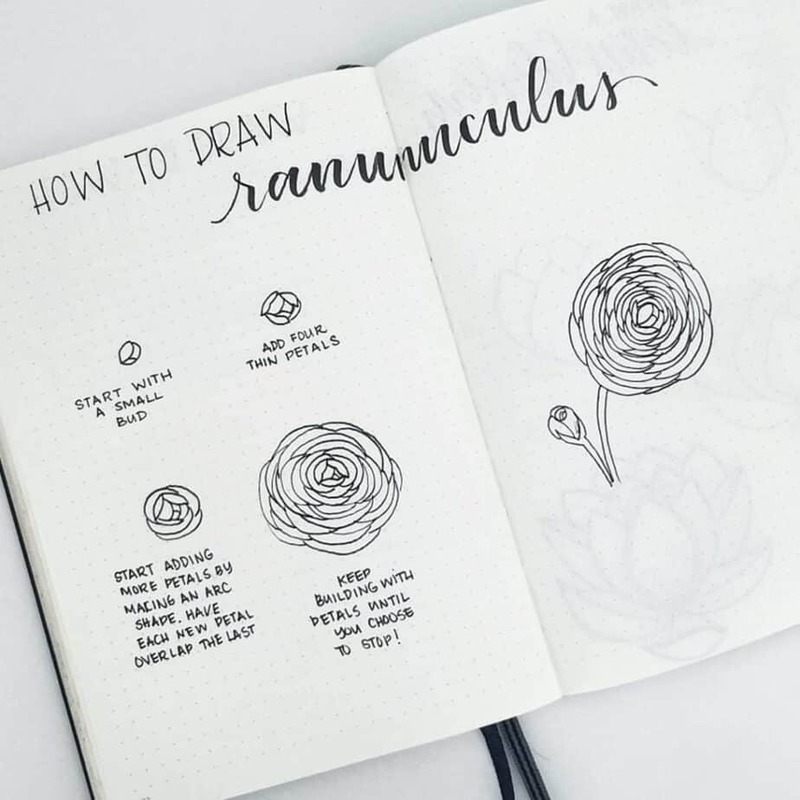 These 18 bullet journal accounts are a great introduction to wonderfully helpful artists and make a smooth transition into the bujo community. The most beautiful part of this post is that it is continually ongoing. It changes and adjusts with the times and with new concepts introduced to me. So make sure to bookmark this page and keep checking back periodically! I will be adding on! Now you can see how without a bullet journal glossary it is very easy for people to get overwhelmed diving in! It definitely takes some time and practice, but utilizing the bullet journal glossary as you’re getting a handle on how to create a bullet journal will be super helpful. 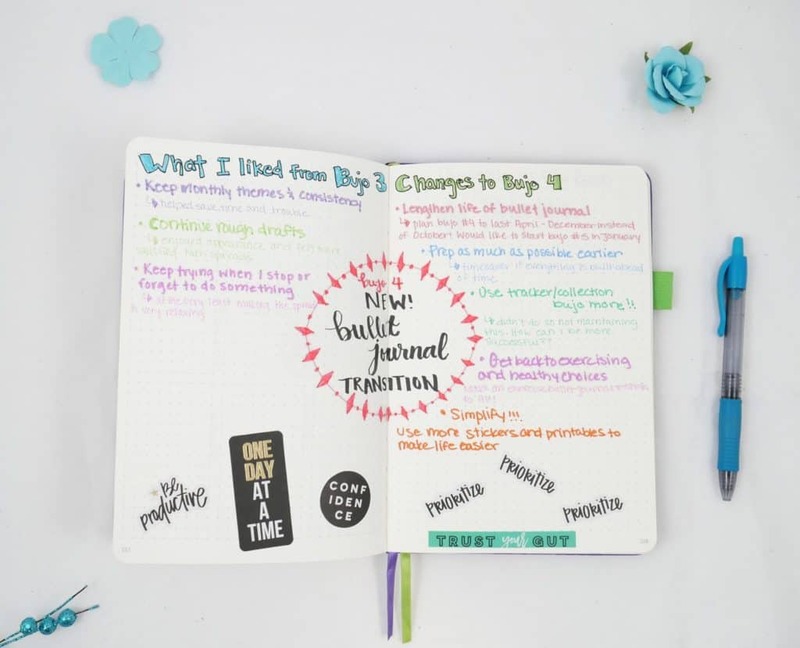 If you’d like to dive even deeper into the bullet journal world, check out this awesome bullet journal inspiration guide! This is the ultimate place to find every single bullet journal article ever written on Planning Mindfully! Just had to ask- is there something I’m missing? Or a definition that you feel needs more explanation? Please let me know in the comments, or feel free to send me a message on my contact page! Did this bullet journal glossary improve your knowledge? Help others by sharing itno on Pinterest! 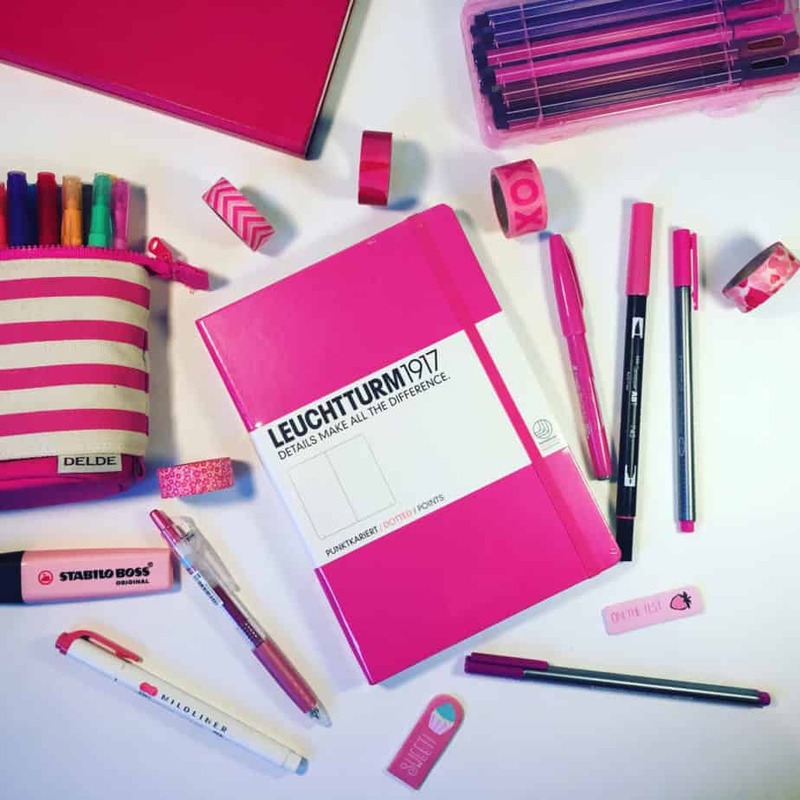 In reading lots of blogs about BuJo almost everyone recommends the Leuchtturm brand notebook, but I happened on one in Amazon that no one has mentioned. It is a Lemome. It has all the qualities that people rave about: thick paper, dot grid, 2 bookmarks, elastic band and pocket at the back. PLUS it only cost about $10 and came with a very good pen. I thought that others might find this info useful. So far yours has been the most helpful blog I have read. Thank you. Dede I definitely want to try a Lemome next! I’ve heard fabulous things! I’m so glad you find the blog helpful! Do you not have a PDA for all of the Bullet Journal Glossary Terminology. It would make it so, so much easier on a total newbie as myself. I haven’t even begun my bujo yet. Call it fear, procrastination, unknown territory. Thanks for sharing. I’ll have to consider making more of an ebook guide… I definitely have way more terms to add!!!! Thanks for commenting!